Dysport successfully reduces the facial signs of aging by blocking the nerve signals to the facial muscles, thus smoothing facial wrinkles and other facial animation lines. Are You a Dysport Injectable Candidate? As we age, our skin undergoes a number of changes that results in the increase in facial wrinkles and lines. If you would like to reduce these facial wrinkles, fine lines and appear younger, then Dysport Toronto treatment is for you. Prior to your Dysport Injection treatment, your SpaMedica consultant will discuss all necessary pretreatment Do’s and Don’ts during your initial Dysport Injectable consultation. Some of the medical skin care treatments available at SpaMedica include Dysport Toronto Injectable. Dysport Injectable, a prescription injection, temporarily improves the appearance of frown lines. It is injected between the eyebrows in adults under 65 years old. Dysport Injectable helps block the signal from the nerve to muscles. This reduces muscle activity and contraction which contributes to frown lines. Dysport Injectable treatments take between 10 to 20 minutes. The results last up to four months. Dysport is an injectable treatment made from botulinum toxin type A. This is the same neurotoxin that Botox Injectable is made from. As a nonsurgical procedure there is little to no downtime. SpaMedica has been specializing in high tech medical skin care for the past 20 years. SpaMedica and Dr. Mulholland have developed a number of fractional laser programs that can significantly improve the quality, texture and appearance of your skin, diminishing fine lines, smoothing moderate wrinkles, refining enlarged or visible pores and tightening the overall complexion to supplement your Dyport injection treatment. Furthermore, soft tissue dermal and subcutaneous fillers such as Sculptra, Restylane, Juvederm, Perlane, Teosyal and Voluma can be used to enhance the appearance and support of your skin. 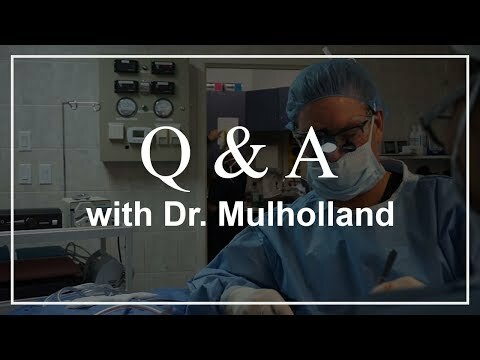 If you are interested in seeking a consultation for a Dysport Toronto injection, with Dr. Mulholland and his team of experts, simply fill out our online consultation request form by clicking the "Schedule A Free Consultation" button. You can also call SpaMedica now at 877-712-8367 to schedule your Dysport Toronto consultation. If you are seeking Toronto’s premiere injectable and filler clinic then look no further than Dr. Stephen Mulholland and his expert team at SpaMedica. We have been successfully treating the greater Toronto area for the past 20 years. You can’t find a more experienced or reputable injectable clinic in the GTA.